Word of the destruction of tea in Boston in December 1773 took several months to reach London. Last week, we looked at some of the initial reactions. 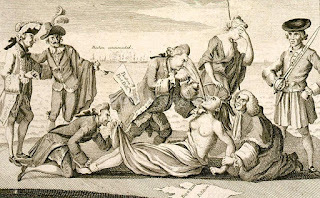 After some debate, the North Ministry proposed what would become known collectively as the Coercive Acts, or the Intolerable Acts, a series of laws passed in 1774 that drove a deeper wedge between Britain and her North American colonies. The first of these was the Boston Port Act of 1774. The Port Act was relatively simple and to the point. It banned all ships from entering the Port of Boston effective June 1, or leaving Boston effective June 15, until the Boston had sufficiently reimbursed the East India Company for the destruction of its tea. The only exceptions were for food needed by the people of Boston or for military supplies required by the British Regulars. Any ships claiming these exceptions had to report for inspection at Marblehead before entering Boston Harbor. North would enforce the law by deploying British naval vessels around the harbor. British attempts to force tea down America's throat. North presented the bill to Parliament in early March, along with extensive documentation about the events leading up to the current situation. He provided for review by members of Parliament, the correspondence with colonial governors and members of the Customs Board complaining about the pervasive lawlessness. He included numerous newspaper articles and handbills from the colony denying Parliament’s right to pass any laws requiring colonies to pay any tax or duty. He also made available witness depositions about the illegal town meetings and the events leading to the destruction of the tea. 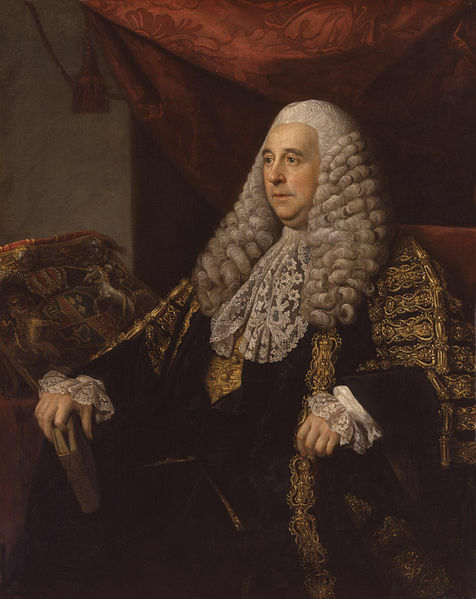 Finally, he read a message from the King calling on Parliament to put an end to the disorder in the colonies and to put in place measures that would secure colonial dependence on the Crown and Parliament. North opened debate on the bill on March 14. Although North conceded that all the colonies had engaged in some acts of resistance against tea imports, Boston’s actions were the most egregious, and it was not the first time Boston was the center of political troubles in the colonies. Making an example of Boston would serve to cow the other colonies into submission. They would not want to the be next example of punishment for bad behavior. This was the same tactic that they had used successfully against New York when it had refused to fund the Quartering Act a few years earlier. North also tried to quash any notion that the destruction was only the work of a few bad apples. North pointed out that the entire city seemed supportive of the destruction, and that its precision indicated that it was well planned in advance. The fact that not a single local would provide any testimony to convict anyone, indicated that the town as a whole supported the criminal activity. He pointed to other similar penalties in the past that Parliament had used against towns in England and Scotland when they supported rebels or other criminals. Collective punishment for a troublesome locality was nothing new. North told Parliament that this was not simply about repaying the East India Company for the lost tea, which was worth just under £10,000. Even if Boston came up with the money, the government should be in no hurry to remove the penalty unless the people displayed a disposition to be more obedient and acquiescent in the future. The colonies had become insolent because Parliament had been too accommodating in the past. It was time to tell the kids that playtime was over and the adults were serious now. North also indicated that this bill was not the only stick he would use. He ended his presentation by telling Parliament that this was a question of authority. Parliament either had to control the colonies or submit to them. Parliament seemed more than happy to support North’s proposals. Some of the people we normally see standing up for the colonies agreed that they needed to pass some version of this bill in order to show the colonies who was in charge. Men like Isaac Barré, who gave the name to the Sons of Liberty, and former Massachusetts Governor Thomas Pownall spoke in support of the bill. Quite a few members thought the bill did not go nearly far enough. Others did raise concerns that cutting off trade would hurt London merchants who would lose business and also find that colonial customers could not repay their debts. They argued that perhaps it might be better to impose a substantial fine on the city and close the port only if they failed to pay the fine. After considerable debate, on March 25, the House of Commons passed the bill overwhelmingly on a voice vote. One reporter present estimated more than 80% of the members supported the bill as Lord North proposed it. The bill found similar approval in the House of Lords. Usual supporters of colonial rights, generally agreed that London had to respond to this lawlessness. Lord Chatham, the former William Pitt, was feeling better and back in the debate. He and another former Prime Minister who had supported the colonies, Lord Rockingham both supported the bill. By the end of March, Parliament sent the bill to the King, who also approved it. The British public also seemed to favor the bill. Most newspaper articles spoke approvingly of it. A few anonymous letters to the editor objected, arguing that the costs in trade for London business would be over £500,000 and that this was really a private matter involving the destruction of private property. But most of those letters again seem to be the work of Benjamin Franklin still writing under aliases. One group of businessmen though, did offer to pay the government £16,000 if North would simply delay closing the port for six months so they could settle accounts in the colonies. North refused. This was about more than covering the financial loss. It was about showing the colonists once and for all that defying Parliamentary authority would have serious consequences. Closing Boston Harbor, as drastic as that was, turned out to be only the beginning of Lord North’s attempt to make an example of Massachusetts. On March 31, the same day the King gave final approval to the Port Bill, North introduced the Massachusetts Government Act, sometimes called the Massachusetts Regulating Act. The Ministry debated holding off on this new law for a year to see if the Port Bill alone would sufficiently chastise the people of Massachusetts. But the hardliners argued that there were systemic problems with the colonial government that needed fixing. Former Massachusetts Governor Bernard was a big advocate of these reforms. He advised North on many of the components of the bill. North basically took the Massachusetts Colonial Charter, which the colonists held sacred, crumpled it up and tossed it in the trash. He replaced it with a new charter designed to transfer most government power from the people of Massachusetts to the Crown. For starters, it took control of the Colonial Council. Under the old Charter, the people elected the Assembly, also called the General Court, I’ve avoided calling it the General Court, only because it tends to confuse people who think of a Court of law that tries cases. That is why use the term Assembly to describe the colonial legislature. The Assembly chose the members of the Council, with nominees subject to the Governor’s veto. Most royal colonies allowed the King or the Governor to select their council. In Massachusetts, because the King picked the Governor and the Assembly picked the Council, the two were often at odds, meaning they could not agree on important matters like calling out soldiers in time of riot. 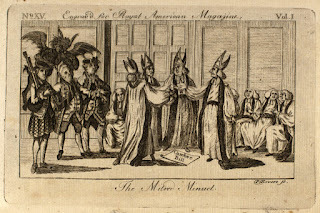 Under the new system, the Governor would select the Council, who would serve at his pleasure, meaning the Council would become a tool of the crown appointed Governor. Incidentally, the crown had only appointed the Governor since 1691, when it imposed the royal charter on the colony. Before that, colonists chose their Governor via the Assembly as well. North’s bill also changed the selection of all judges and many other officials, including the Attorney General, marshals, justices of the peace, and commissioners who all previously had been elected. Now, the Governor would appoint these officials who would serve at his pleasure. The Justices of the higher court required Council approval. All others would simply be hired and fired by the Governor. The Governor-appointed sheriffs would also select grand and petit jurors. Before this, towns had elected grand jurors at town meetings. Petit jurors had come at random from lists drawn up by elected town selectmen. While on the subject of town meetings, the new law also banned town meetings. Towns or other political subdivisions were permitted one town meeting per year to select local officials. Beyond that, if they wanted another meeting or to discuss other business, they would need the Governor’s prior approval. Debate on the Government Act was a little more critical than the Port Act. Many of the moderates in Parliament who supported the Port Act, thought this was going too far. They had hoped Ministry would follow up the Port Act with a bill removing the tea tax. Thus, with a carrot and stick, the colonies would fall into line. Instead the ministry had doubled down on the punishment by taking away almost all colonial powers. A few former Governors criticized the bill. Johnstone and Pownall, both now sitting in the House of Commons argued that the Governor already had enough power to keep order. It was just that Hutchinson was too much of a wuss to use that power properly. They argued that a real Governor could use the powers as is to maintain law and order. Isaac Barré also moved back to the opposition on this bill. The majority though felt otherwise, the Government Act passed overwhelmly on May 3 with nearly 80% of members voting in favor. In the House of Lords the usual liberals, men like Rockingham and Camden, objected. They pointed out that the Governor in Massachusetts had more power than the King in England. The King was always subject to the power of Parliament to cut off his funds. 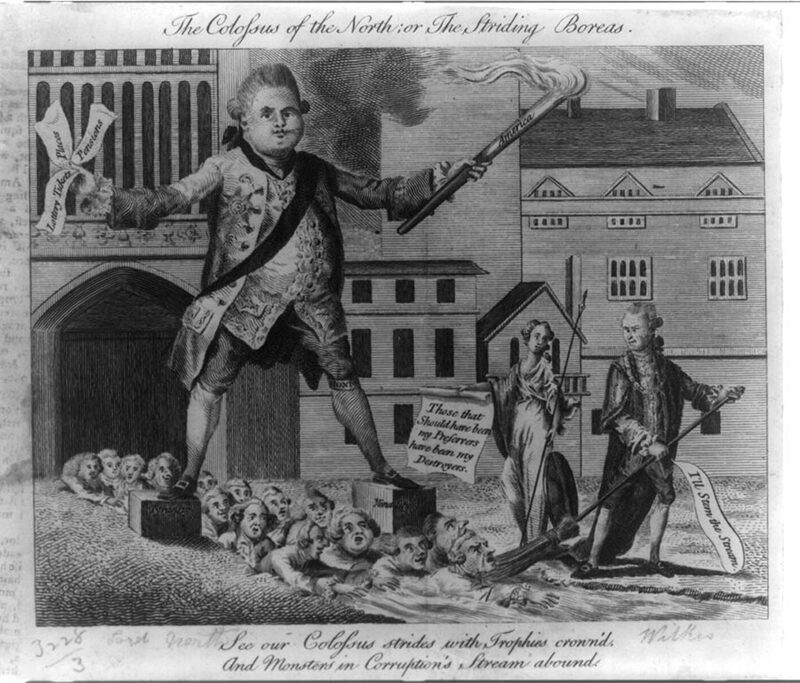 In Massachusetts, the Governor had access to money from London to run the government. He did not have to rely on the legislature for anything. Opponents of the bill thought altering the Charter was a really big deal that would cause even more problems. But even they did not deny the authority of Parliament and the Crown to alter the Charter. No one in London seemed to be making the argument that everyone in Massachusetts seemed to be making: that the people of Massachusetts had certain sovereign rights that could not be abolished. Most fundamental was the right to govern themselves on internal colonial matters. Parliament seemed to see that governing power as a gift that could be taken away if the colonists got too troublesome. The only debate in Parliament seemed to be whether it was wise policy to act on that power. By May 20th, the King gave final approval to the Government Act. The bill would go into effect on July 1, barely enough time to transport it to Massachusetts, and taking effect only two weeks after Boston Harbor closed. In April, even before passage of the Government Act, North piled on even further with his proposed Administration of Justice Act. This allowed anyone accused of murder or other capital crime while trying to enforce the law, to have their trial removed to England or to another colony. The colonists would call it the Murder Act, as it allowed law enforcement officers to escape local trials for murder. North knew that he would need to send soldiers into the colony to keep order again. He did not want a repeat of the events leading up to the Boston Massacre, where soldiers and other officials were afraid to do their duty for fear of prosecution by the hostile locals. Parliament debated the Justice Act at the same time they were debating the Government Act, so many of the arguments address both of these acts. But the specific objection to the Justice Act seemed to be that they did not need it. Massachusetts had proven it could maintain a fair trial when it acquitted most of the soldiers in the Boston Massacre, and convicted only two on lesser charges. Opponents said this unnecessary law would only inflame matters by making colonists think Parliament was legalizing murder against them. The majority, however, was in no mood for slowing down. They would provide North with whatever powers he needed to bring the colonists back into line. The Justice Act also passed both houses of Parliament. The King signed it into law on the same day as the Government Act, May 20, 1774. In the midst of debating the Coercive Acts, Rose Fuller, an opposition member of Parliament introduced a bill to repeal the tea tax. This group favored the idea that while Parliament was asserting its authority under the Coercive Acts, it could at the same time show that it would be considerate of colonial sentiment by repealing the tea duty, which really was not raising much money anyway. The proposal failed, with the majority again raising the old argument that backing down on the Stamp Act had only encouraged more trouble in the colonies. Parliament had to remain firm if it wanted to assert its colonial authority successfully. We can consider being nice again once the colonies show proper deference. Until then, no backing down on anything. I mention this debate only because it was the basis for Edmund Burke to give his famous speech, On American Taxation. 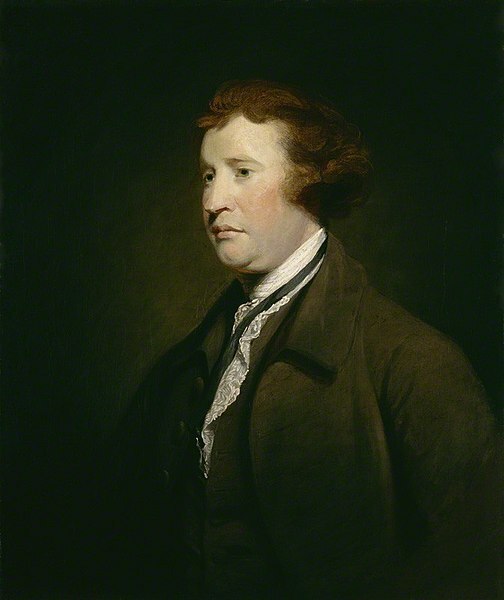 During his speech, Burke points out how Britain had a nice profitable economic relationship with its colonies for years. The direct benefits of trade led to increased revenues for Parliament. The new taxes, beginning with the Stamp Tax, not only led to little revenue being raised, but caused British merchants to lose fortunes and ended up costing Parliament in overall revenue. He argued that if Parliament focused on profitable trade and did not bother with the taxes, everyone would be better off and Britain could continue to benefit from the trade policies that everyone supported. Sadly, as I said, the majority rejected Burke’s arguments and continued on with their attempts to subdue the colonies by force. The first three acts specifically focused on Massachusetts. Parliament also passed a fourth act, the reinstatement of the Quartering Act, which applied to all the colonies, but clearly passed with Massachusetts in mind. It authorized the Governor to requisition suitable housing for all soldiers if a colony did not have sufficient barracks available. The Governor could requisition any vacant buildings for the soldiers’ use. 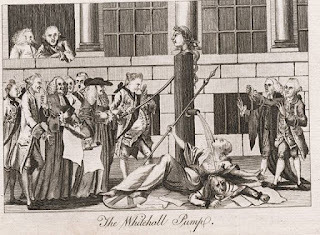 This was not much different from the Quartering Act that had lapsed in 1770. But the colonists did not like it then and would not like it now either. Nevertheless, with little debate, the Quartering Act passed. The King gave it final approval on June 2, 1774. Finally, to top off a busy spring, Parliament passed the Quebec Act. This act related only indirectly to the other disputes in North America. It gave a permanent government to the French Canadians who were had been living under English military rule in Quebec since the end of the French and Indian War back in 1760. It permitted Catholics to hold public office. They only had to swear allegiance to the King - no more religious test. The Act also extended the boundaries of Quebec to all land between the Ohio and Mississippi Rivers, this includes modern day Ohio, Michigan, Wisconsin, Minnesota, Indiana, and Illinois. Bounderies of Quebec following 1774 Act. 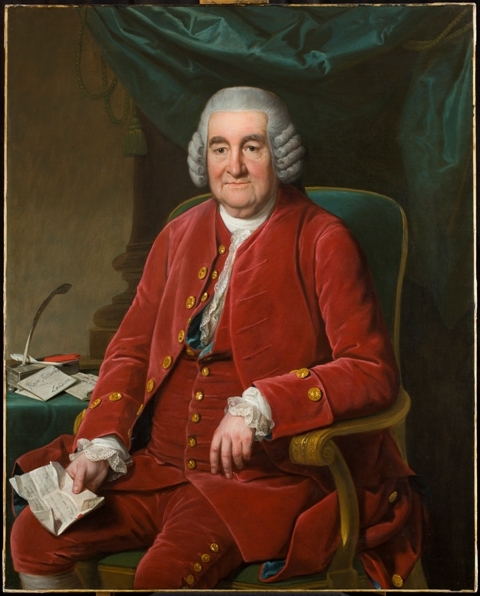 North passed the law in consultation with Quebec’s military Governor Guy Carleton, who had returned to London to discuss the future of Canada. North hoped to keep the French Canadians happy with British rule, so that they did not side with the other colonies in any upcoming confrontation. For the most part, it seemed to work. The land claim had the benefit of keeping the British colonists hemmed in along the coast, where the British could better control them. Unfortunately, this was also yet another issue that drove the other colonists nuts. 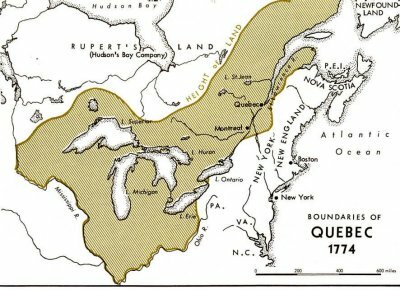 Many colonies had legitimate land claims to the territories just granted to Quebec. So, we just spent decades and numerous wars, fighting to claim those lands. We actually win the war and kick France out of Canada, and now you guys in Parliament are going to hand over our land to the French inhabitants of Canada? Seriously? Quebec was ruled by an appointed Governor and Council, with no elected legislature at all. The top leaders would remain mostly military officers. Now the lower level officials could be French speaking inhabitants. So anyone from an eastern colony who wants to move west, would have to give up any right to local representation in any sort of colonial government, and also gets to be ordered around by the French speaking officials. Also, most of the wealthiest families in Pennsylvania, Maryland, and Virginia had major investments in these western lands. Turning that land over to Quebec made all of those land claims questionable at best. If there was ever an economic incentive for the wealthiest and most powerful colonial families to join the resistance, this was it. Debate over the Quebec Act did raise some concerns among the radical Whigs in London. They saw this as a massive sellout of the gains of the Seven Years War. If France ever retook Canada, Britain had just given it legal authority to take control of all these disputed lands as well. Giving complete control of the Ohio Valley to the French speaking Catholics seemed absurd. Some even questioned whether the King had violated his oath to defend the Protestant faith. While some Whigs raised these objections during debate, the debate itself was relatively short. The Quebec Act easily passed both houses of Parliament. The King gave his approval June 22, 1774. So over the course of three months, Parliament passed five bills designed to prove to the colonies once and for all that Parliament was in charge. The colonies would learn to accept the dictates of Parliament or suffer the consequences. With that, Parliament waited to see what the colonists were going to do about all this. Next Week, we’ll take a look at what the colonists are going to do about all this. Alden, John R. General Gage in America, New York: Greenwood Press, 1948 (available to borrow). Maseres, Francis The Canadian freeholder: in three dialogues between an Englishman and a Frenchman, settled in Canada. 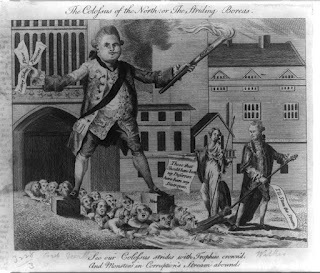 Shewing the sentiments of the bulk of the freeholders of Canada concerning the late Quebec-act; with some remarks on the Boston-charter act; and an attempt to shew the great expediency of immediately repealing both those acts of Parliament, and of making some other useful regulations and concessions to His Majesty's American subjects, as a ground for a reconciliation with the United Colonies in America, London: B. White, 1776. Quincy, Josiah Observations on the act of Parliament commonly called the Boston port-bill, Boston: N.E., 1774. Quincy, Josiah (son of the subject) Memoir of the life of Josiah Quincy, Jun., of Massachusetts, Boston: Cummings, Hilliard and Company, 1825. Raphael, Ray & Marie The Spirit of ‘74: How the American Revolution Began, New York, The New Press 2015.